When someone is injured in an accident, they most often try to seek compensation for any physical injury they may have suffered. 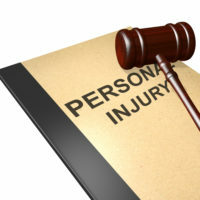 It is much less common for personal injury lawsuits to be brought based on psychological trauma, or on any other type of invisible illness or injury – and yet they cause as much suffering, if not more so, than many physical harms. It is possible in some situations to be compensated for psychological damage caused to you by someone else’s reckless or negligent conduct, and it is important that you know you can find an ear to listen, even when it may feel hopeless to try. Historically, no recovery was granted to someone who suffered a psychological or mental health-related injury unless they were physically impacted by that injury as well. However, there have been numerous exceptions carved out of the rule over the years. The current rule, in practice, is quite a bit more complex than the simple rule used to be, but more deserving victims may be able to receive compensation for the clear harm they have suffered even though it may not have had a physical impact. Generally, Florida courts now require either an “impact” or a physical manifestation of the injury in order to allow someone with emotional trauma to be able to recover. This can be difficult to understand in turn, as purely emotional injuries are still, at least in theory, capable of producing an “impact,” but Florida courts will almost never award recovery based solely on mental or emotional problems. For example, LeGrand v Emmanuel (2004), in which a minister tried to bring a case over the injuries he suffered after being slandered, only to be denied because the minister had suffered no physical injury. It can still certainly be argued that the minister suffered a drastic dip in his quality of life, which one might think would be the basis of showing an injury. Nonetheless, with rare exceptions, in order to recover for mental injury in Florida, you must generally show evidence of a related physical condition. Even assuming that you are able to show evidence of a physical condition stemming from the mental or emotional harm you suffered, it can still be difficult to prove pain and suffering in many cases. In cases such as auto accidents, any physical condition resulting from mental stress may simply be explained away as having resulted from the accident itself, rather than from the shock or post-traumatic stress. In theory, it may not matter, but depending on the situation, it may be evidence necessary to establish negligence on the part of a defendant. Be advised that Florida, unlike in many other states, no cap on noneconomic damages currently exists. Intangible causes of action like pain and suffering are held to award ‘noneconomic’ damages, and in many other states, there is a monetary cap, or max amount, on how much can be granted in any one case. While this does not necessarily mean that the sky is the limit, it does mean that you have a good chance at having your bills covered if you can manage to prevail in your suit and establish your emotional or mental harm. With a cap in place, plaintiffs almost always have to settle for less. Mental and emotional harm is very real and can cause lasting damage, despite Florida’s reluctance to acknowledge this in law. If you have suffered psychological injury after an accident, contacting an experienced attorney is a good idea. The Orlando personal injury lawyers at the Hornsby Law Group can sit down with you and try to answer your questions about your case. Call our office today for a free consultation.